San Carlos Subaru Repair & Services - A+ Japanese Auto Repair, Inc.
Who is the best Subaru repair shop in the bay area? With over 700 yelp reviews holding at 4.5 stars see what our clients are saying about our Subaru service and repair on Yelp. From our perspective, we believe we are the best place to take your Subaru in the San Francisco bay area when your Subaru is in need of auto repair or service for the following reasons. A+ Japanese Auto Repair in San Carlos is here to understand the concern or problem and use our expert Subaru knowledge to fix your vehicle in a timely fashion. Customers trust A+ Japanese Auto Repair Inc. with all aspects of Subaru repair and maintenance due to our open and transparent process. You will receive an itemized list of any problem areas or issue we see with pictures of these areas that need attention. We perform all aspects of Subaru repair and service which can range from major replacements such as a new Subaru head gaskets, motor replacement, to minor repairs such as fixing a broken headlight. Our Service Department is highly rated on yelp and will provide quality care, repair, and service that meets clients schedules, expectations, and budgets. Can my Subaru be fixed in one day? If you are having issues with your Subaru you can trust that our Subaru trained technicians will quickly assess the problem and get to work after discussing recommended repairs with you. With every new model year comes new mechanical updates and in some instances recalls or technical service bulletins. We have access and the ability to address these concerns, services, and repairs as well. Your Subaru will receive the correct parts, the auto repair parts will be dealer quality, at a lower price than the dealer can offer. Our Subaru technicians use the knowledge of your make, model, and year to fix your vehicle right the first time, every time. Why is A+ Japanese Auto Repair the best place to take my Subaru? A+ Japanese auto repair believes in preventative maintenance, so you don't have to keep coming back and have a major part replaced at a high cost when the component could have been maintained preventing damage from occurring in the first place. Our commitment is get your Subaru on the road with the highest level of repair at a fair price. When you service your vehicle with A+ Japanese Auto Repair Inc. have the confidence of our 24 month, 24,000 mile warranty so you know we stand behind any auto repair and service we perform on your Subaru. What Subaru Models does A+ Japanese Auto Repair work on? A+ Japanese Auto Repair Inc. employs auto repair and service expert mechanics who can properly repair your Subaru vehicle. We are experts on the following Subaru models: Subaru Forester, Subaru Outback, Subaru Legacy, Subaru Impreza, and the Subaru WRX. Our technicians are skilled and experienced on all Subaru models, contact us today with any Subaru concerns or questions you may have. 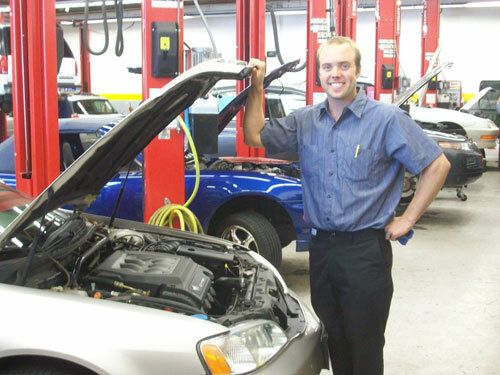 Since 1997 A+ Japanese Auto Repair has been providing clients with Subaru auto repair and service. Over the years we have come to be known as the best alternative to the dealer for any Subaru service or Subaru auto repair needs in the Bay Area. 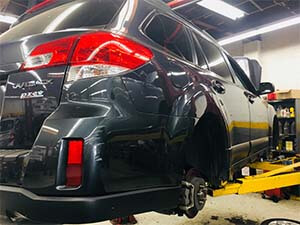 Our state of the art auto repair facility invests in the latest tools and equipment, ASE trained service staff and mechanics and the highest quality auto repair parts to properly repair your Subaru the first time, every time. This allows us to repair your Subaru efficiently and cost effectively and still provide the excellent auto repair experience you have come to expect from A+ Japanese Auto Repair Inc. We stand behind our work with our 24,000 mile 24 month warranty on all auto repair and service. To find out more about our exceptional Subaru service and repair warranty program visit our acura repair warranty page Subaru Repair Warranty Page. Over the years A+ Japanese Auto Repair Inc. has been voted the best facility to bring your Subaru for auto repair and service many times. Thank you to our wonderful clients for your votes and business.